Concord stop the rot as Woking are pegged back late on at the Aspect Arena. The impressive Nicky Wheeler was causing all kinds of problems early on for the hosting Beachboys defence, the closest he came to opening the scoring was hitting the upright with a snap shot from a tight angle. Concord Captain Billy Knott showed great energy in the first half and provided a brilliant cross for Alex Wall which keeper Bertl Schotterl did excellently to read and nip off the forward. In a very nip and tuck first half, it was the away side who took the lead. A razor sharp counter attack saw an in-swinging right footed cross found Max Kretzschmer who selflessly headed back across goal into the path of the arriving Greg Luer to belt into an empty net. Concord appeared a different animal in the second half, and should have equalised through Wall. A magnificent left sided cross found the striker only for him to head narrowly over. Wall again came close, this time a right sided ball was thinly nicked away from him by Knott as he arrived at the back post. The Beachboys were knocking hard on the door by now. Assistant manager Jack Midson had head in hands as he somehow half volleyed over from 3 yards square of goal. Woking substitute Duane Ofori-Acheampong didn’t make life any easier for his teammates as his persistent backchat to referee Steven Hughes saw him pick up two yellows and a red all in thirty seconds. 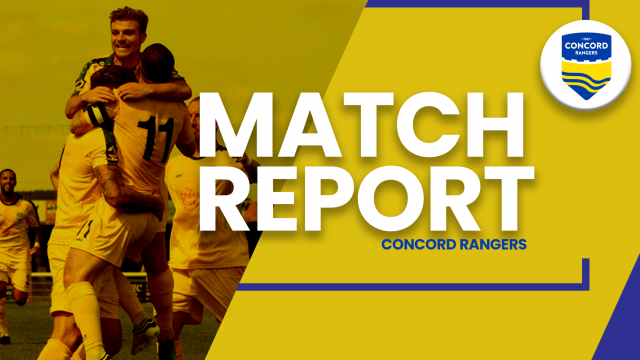 The equaliser was well and truly due when Billy Knott stepped up to strike low through a number of bodies and into the net, a point that Concord were much deserving in a entertaining game.